One of the new supercars that came about recently is the 2012 Pagani Huayra. And this is one which mirrors the looks of an aeroplane and if the design don’t impress you, the price would. It will be sold in the United States for USD1.1 million and will make its debut in that market. Coming on with a name which is pretty much difficult to pronounce, this is the very look of what supercars should look like today and surely into the near future. With the specifications and what it comes with, the Huayra will surely be competing against the likes of the Bugatti Veyron 16.4 as only that would come close to what this can do. Where this is concerned, the Bugatti (and all its 1000 horsepower glory) is manufactured by VW while Huayra is the brainchild of Horacio Pagani, the Argentinean and his team of designers who are in this with a passion for speed and art. The group had only rolled out 18 cars last year. If you haven’t already know, Pagani Automobili had already been in the market for some time now where it was established in 1991 when they rolled out the Zonda, the company’s first hyper-car. They were mainly targeting other markets but not in the United States, but the Huayra is made for the Americans. They are planning to start a new factory this year in San Cesarrio sul Panaro in Bologna in Italy where they expect this new gull-wing door model to do better than its previous models. In fact, some figures are reported that they are looking to make 40 cars a year and if they manage to do that, then they will surely be doing very well in the market although they might still be falling sort among the Ferraris and Lamborghinis. It comes with bi-xenon lights, LED daytime running lights as well as 4 tailpipes. Of course, you will surely notice the gull-wing doors which is pretty much the standard door design of supercars these days. The engine is provided for by Mercedes-AMG which is a 12 cylinder biturbo M158 engine boosting out 700 horses through its 7-speed sequential cross gearbox. It also comes with the AMT robotic system as well. Brabus SLS-AMG – Best of both worlds? Best of all worlds! 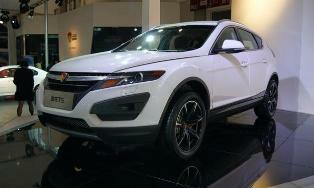 Is the Youngman Lotus T5 going to be the new SUV from Proton?